Galvanised tubes can be implemented in structures, frames or railings when used in conjunction with tube clamps. The application of zinc coating or galvanisation ensures that these tubes are perfect for outdoor use. Our galvanised tubes are coated with a protective zinc coating to prevent oxidisation of the steel which leads to corrosion. These tubes are very strong and this galvanisation makes them perfect for outdoor use. These galvanised steel tubes can be used in a variety of structural applications that demand great strength and durability. Steel is also easily recycled, making this product extremely environmentally friendly as well as very practical. 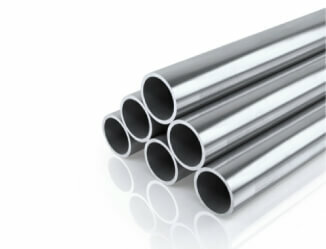 South West Steel offers a wide array of galvanised tubing. If you are looking for these products and wish to see dimensions and prices then do not hesitate to contact us today for a free quotation.